Claims of property owner liability can be complex and hard to identify. Often, an injured worker may not realize that a property owner or other third party can be held accountable. 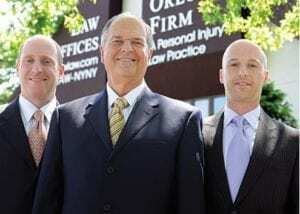 At The Orlow Firm, our lawyers understand the circumstances in which third-party claims arise against property owners, and we have the experience and dedication that our clients need. We serve injured victims in The Bronx and throughout New York City. If you have been injured in a construction accident or lost a loved one in a work site accident, contact the Bronx property owner liability attorneys at The Orlow Firm for a free initial consultation. For your convenience, we maintain four offices throughout New York City.